Home » News » How Are Young People Involved in Government-Led Development in Somalia? How Are Young People Involved in Government-Led Development in Somalia? The Public Sector Capacity Injection Project (CIP) is a joint approach to capacity building in Somalia. Administered by the World Bank through the Multi-Partner Fund (MPF), the project enables the government to fill critical capacity gaps in the civil service. And a central part of it is the recruitment of skilled and qualified personnel for cross-cutting government functions. The CIP has been active in Puntland, at the northeastern tip of Somalia, since November 2015. Since its inception, 54 positions have been filled in key government institutions, such as the Office of the President, Ministry of Finance, and the Ministry of Planning and International Cooperation. All the positions were filled through a transparent and competitive recruitment process, with technical tests on subject matter, and interviews. 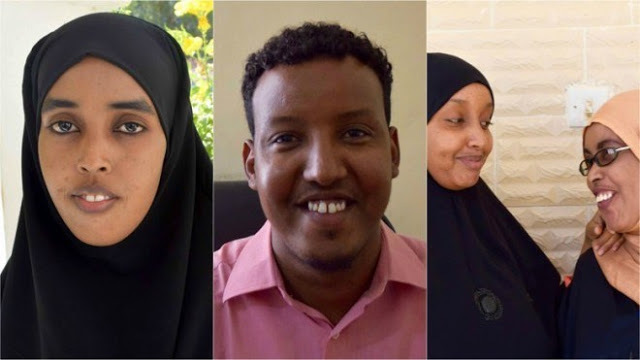 We spoke to some of the recruits who succeeded to get jobs in the civil service as a result and talked to them about differences in the recruitment processes, about encouraging women in employment, and what they would advise their fellow citizens to do in terms of finding work in Somalia today. As she was volunteering in an M&E capacity in Garowe, Puntland’s administrative capital, government ministries were beginning to implement the capacity project and Puntland coordinated with the Bank to assess where the gaps were within the government. The CIP is recipient-executed, which means that the project is designed and implemented by the government. The Bank just provides it with technical assistance. Once the project was launched in late 2015, job opportunities started to populate the local news outlets. “I remember seeing many new positions in the beginning of 2016,” Farhiya said. “I wasn’t qualified for many of them though.” However, in July 2016, a suitable position was published: Head of M&E for the Puntland Civil Service Commission (PCSC). Farhiya saw the position and decided to apply. For all civil servant positions, a 20-step procedure is followed to ensure a fair recruitment process. The steps include the submission of CVs, a technical test, an interview with an unbiased panel, and induction training for successful applicants. This process is used in Puntland, other federal states in Somalia, and by the Federal Government of Somalia (FGS) based in Mogadishu, southern Somalia. Farhiya was successful at getting the job she applied for. She is convinced that it was her experience as a volunteer there that gave her the decisive advantage—“the upper edge,” as she described it. The main piece of advice Farhiya has to offer other job seekers is the importance of showing your commitment through internships or volunteer positions. “Young people may not see the benefits of volunteering in the beginning, but I can guarantee that the experience and the exposure will benefit them in the long run”. Ahmed has a Bachelor’s degree in HR and Leadership from a university college in the Ethiopian capital of Addis Ababa. Before becoming section head at the sports ministry, he held a range of positions, from intern to HR technical adviser. He also has consulting experience with international organizations in developing training policies and programs for the civil service in Puntland. “The consultancy contract ended in early 2016, and I knew that the government was hiring soon through the CIP”. Working in HR, Ahmed is well aware of the need for mechanisms for hiring practices. “Nepotism was commonly practiced before,” he said. “I know how it is to be unemployed in Puntland. It’s disheartening when people are unfairly hired.” After the success of the Capacity Injection Project in 2016, Puntland will hire about 80 more civil servants for nine government institutions in 2017. The project’s emphasis on transparent recruitment is designed to eliminate unfair hiring. Ahmed has also put in place standardized payroll systems to monitor who gets paid, justifying it to the Minister. This has changed the attitudes of people seeking work. “I meet more young people who are interested [in working here] simply because they know that they have a real chance of employment,” he said. 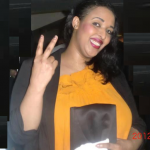 Shukri works at the Office of the President of Puntland. He was employed in May 2016. He had previously worked at the Ministry of Health and the East Africa University in Puntland. Title: How Are Young People Involved in Government-Led Development in Somalia?